Pune. That was where the car nosed to. The reasons were simple and straightforward. 1. There were kind souls who offered to host. Providing us with bed, food and some love. There needn’t be any other reason. 2. Add in an expressway that’s smooth as silk at Rs.140/- one way, some scenic mountains and blue skies as freebies. 3. 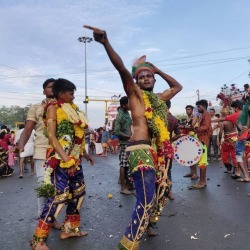 To that concoction throw in some ‘huge’ curiosity around Pune and it being spoken of as the ‘culture capital of Maharashtra’ and the like. 4. To that solution, sprinkle some details about the awesome weather. 5. If all that were not enough, look at the long weekend and spending time between fixing a broken computer and a run down body frame ! Of we went. To Pune. And loved every minute of it. And here is the first residue. Residual feelings ! More will follow. At first look, Pune seems to be kneaded with the fingers of history and baked in the kiln of culture. 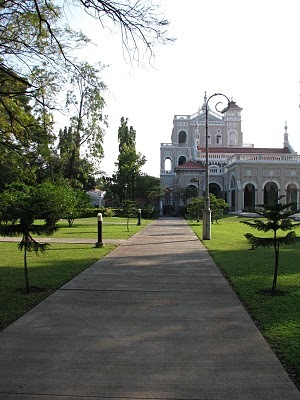 The Aga Khan palace stands in majestic stately grandeur, that almost obscures the pieces of history that it holds. Facts of it being a quasi prison for Mahatma Gandhi and the place where he lost his wife gives it a different coat. Goosebumps pop at frequency of popcorn in a microwave oven, to stand in the very room that must have seen all these events unfold and think of those times. Kastur Ba’s samadhi right there. Shaniwarwada is the other structure. Magnificent opulence from the 17th century. A building of great magnificence has to be imagined, for whats left is just the periphery wall and and a towering gate ! Its not too difficult for the imagination though. If the ‘compound wall’ is this opulent, the building must sure have been something. To look down at the modern day buses and city bustle through traditional arches was something indeed. And yes. Make no mistake. Look http://pharmacy-no-rx.net down it is ! The sights of the living times are no less awing. This White tiger at the zoo. Majestic in the stride and magnificent in elegance. Emerging from the undergrowth and just standing there, as the pictures clicked. Imposing in the posing. Moving away with an air that will get a bollywood star give her entire nose for. Plastic surgery and all included. The essence of our love, seems to course in the city’s living. A city that is soothing yet burgeoning. Where, the divide between the yesteryears and the present day visible by the starkness of the difference. Yet, invisible by their seamless merger. 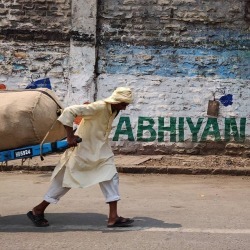 Its a city where tradition doesnt rub shoulders with modernity, but is infact the other shoulder ! Oh yes. Its a city where people are kind and the kinds that are ‘people’, well, very frequent ! We fell in love with the city. Chomping on what ‘German Bakery’ had to offer. Contrasting it only with Maharashtrian thali. Rounding it off with brun-maska, chai and Shrewsbery biscuits. But there sure is more. Thats the feeling that permeates. Thats the flavour of the residue. There definitely is more. A certain indescribable portion of the city that is seen, yet hidden. That seems easily describable yet remains elusive. Perhaps it is do with the understatedness in its existence. Perhaps it is do with a way of life that is free of hurried frenzy. Perhaps it is do with its people : gentle and mannered. Or perhaps it is because of a certain beauty in its midst. The city that is ! The women are covered. Perhaps protecting the perfect complection and their texture of their tresses, the missus avers. The helmets seem missing though. More will be figured. Hopefully. For the car will be headed in that direction. There is much to discover. Pune is plain awesome, you see. Thank you for saying all these nice things about my city. Where I grew up, went to school and college, and still continue to go, despite any lack of family now. Next time you go, let me know, and I will tell you all the places in the old part of the city, those places which give Pune its character. And all the places you go to eat real great things. 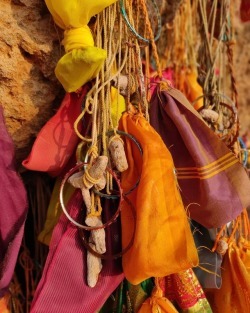 And a visit to the Parvati temple on the hill will be good for marathon training…..
Great post. 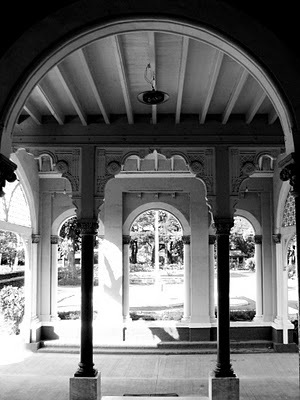 Pune has rich history. There is lot to see and visit there. A week end will not do justice. [I can act as a good guide but Ugich Konitari can be a great source of information and guidance]. Nu: I have beaten you to the post here! Aha! Shrewberry biscuits – forgot the bakery name, is it Kalyani? @niranjani : Its Kayani’s Bakery on East Street in camp.Simply Yum ! You have taken me there in this post! It seems so lovely and relaxing. 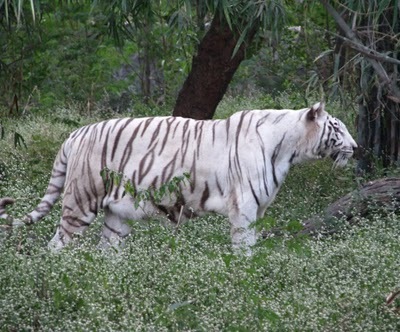 And the white tiger is a magnificent animal. 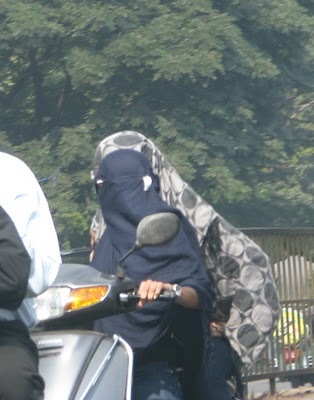 But the woman driving the motor scooter..I don’t see any eye holes, but they must be there. Very nice narration. Never been to Pune. 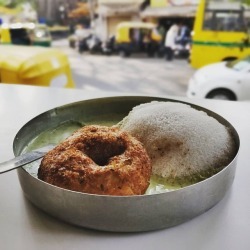 This blog wants us to visit there next time we visit India. Was this your first trip to Pune, Kavi? Seems that you enjoyed it! It is a good to get another ‘perspective’ on the city. Those who presently stay here, face different problems everyday. Part of life 🙂 Happy to know that you enjoyed. 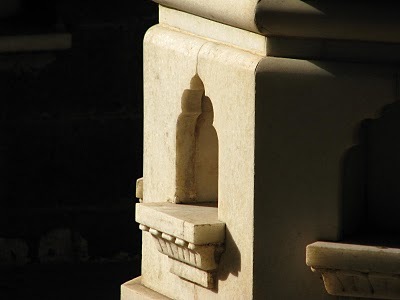 This post decides the next destination for me- Pune. Hope I get to experience it soon. You ought to write travel columns. The post is so endearing. You forgot to mention Chitale’s Bhakarwadi – really tasty. Pune is really a nice city. our morning visits to Parvati, climbing it in one go; competing it etc all..
wishing you and the family a very merry happy new year. wish all your aspirations and dreams come true. we’ve had a great year in 2009 for our friends, family and everyone in the blog circle, hope this continues many years to come. 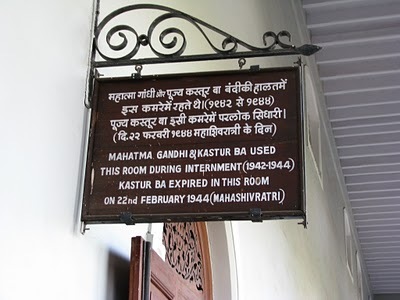 nice pictures of the place where mahatma stayed and kasturibai dies. interesting view kavi! 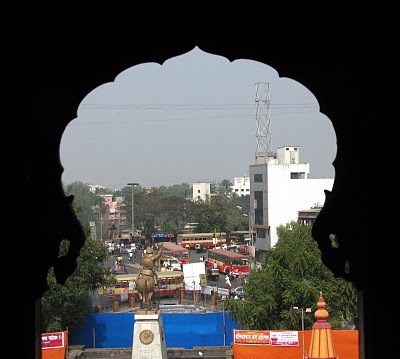 I have been to Pune only once for a very brief time, but I fell in love with its air of gentility and progressiveness. You are lucky to have much more time and two great guides (Suranga and Vivek) at your disposal. Fantastic as always. Your photography skills needs to be commended.I go to Pune twice a month and enjoy the scenic surroundings every time. Thanks Kavi for being a great friend. Thanks for writing about my birth place. Surprised… Yes, I was born there and used to go on holidays during younger days. I would love to visit some time in the future.